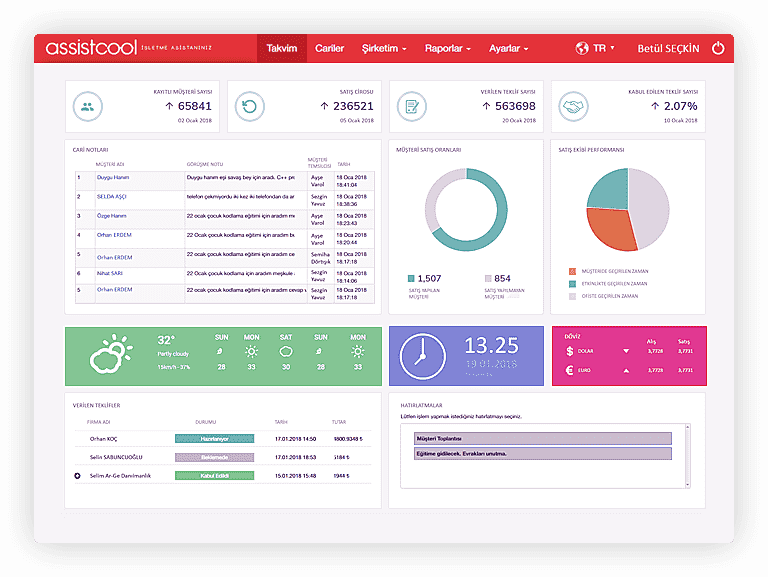 AssistCool is a sales-focused CRM software that is equipped with features in order to boost your sales. AssistCool is your greatest helper with its accessibility and mobile support anywhere at any time. Use AssistCool swiftly and with pleasure through training-free interfaces. Experience the freedom of access and input your data everywhere by means of its mobile support. Create your own labeling system. Follow your own clients, potential clients or campaigns as you wish. Track your postponed or pending offers instantly. Make sure your offers are back on sale. Set your reminders on the meeting note, offers you have given or your agenda so do not miss your client. AssistCool provides to see your current situation with sales and event reports. Helps to determine exact strategies for future. We offer software solutions that will make your working life easier. Industry 4.0 Projects, Web Based Software, Mobile Applications, Augmented Reality and Virtual Reality Applications etc. "Survey Application" for Android that will enable 5S processes related to the Quality Management to be easily tracked. Web-based "WorkFlow Software" that tracks the entire flow of any business process or project from start to finish.